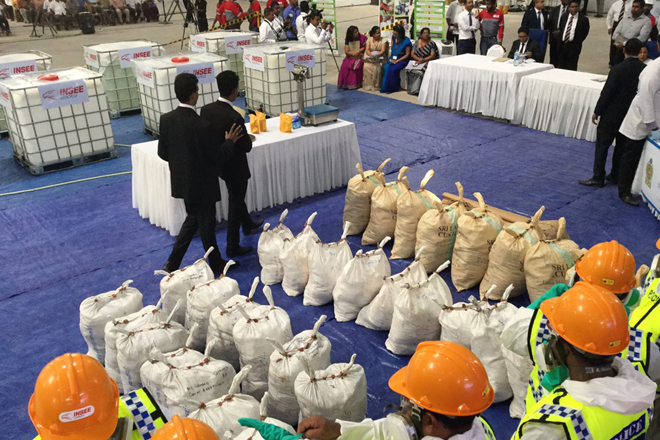 Apr 01, 2019 (LBO) – Over 769 Kg of narcotics which was seized by Sri Lanka’s security forces in the recent past destroyed at the Suraweera warehouse complex at Maguruwela in Kelaniya, today. The Police Narcotics Bureau destroyed the drugs as per the international standards and according to the environmental standards with the presence of President and other officials. On the 15 January 2018, over 926 Kg of narcotics was publicly destroyed on the instructions of the President.